Lunarfurniture.com – Nowadays, we heard so much news about flood disasters in many areas in the country, such as in the capital, Jakarta, and some other cities. The flood gives trouble for sunken houses such as the mud sediment which can goes deep inside the house and hard to be cleaned and the broken electronic devices. Besides of those problems, the sunken house can have other problem which is by the wooden furniture inside. Commonly, wooden furniture is easily damaged by the flood water if it is submersed. Some house parts such as door or window which are made by wooden material can expand if they are sunken by flood water so that it is difficult to be opened or closed. The door or window is expanding and bending so that it will have friction with the floor or the wall. For this problem, we must drawstring the wood or window so that it can be moved easily anymore. Wooden furniture also has other weakness if it is sunken by flood water which is the wooden furniture can get white spot or white mist spot on the paint layer. Well, in some cases, the white spot can be erased by itself after the furniture is dried, but, some spots can stay longer and force us to clean it up by using cloth which is wetted by turpentine or mixture of water and ammonia. After it is clothed till it dry, we can add it by furniture polishing, but, if it is not work, we must erase the old paint and replace it by the new one. 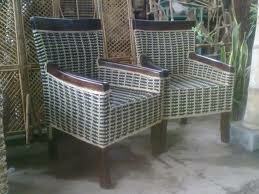 Flood is also can make the wooden furniture got some mildew if the humidity is more than 20 percent. In order to fix the problem, we can use the cleaner which has anti fungi material so that the mildew will be erased from the furniture.